Situated on the western side of Jamestown Road approx. 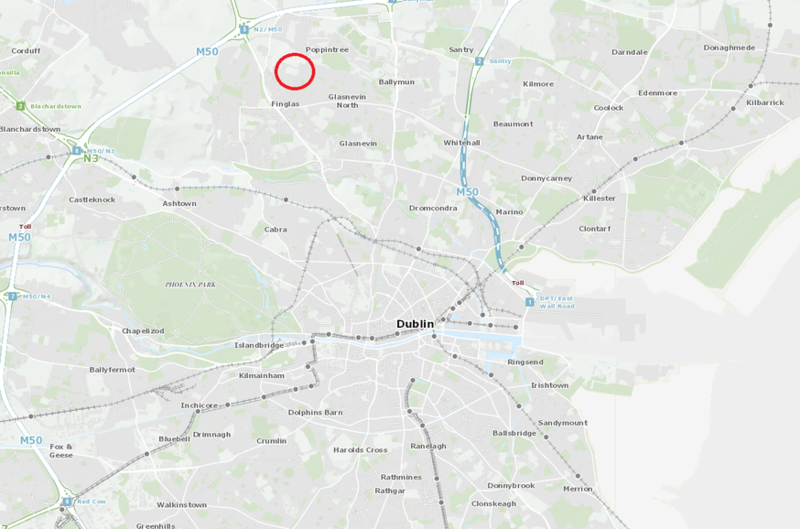 1km north of Finglas Village and approx. 1km south of the M2/M50 junction. 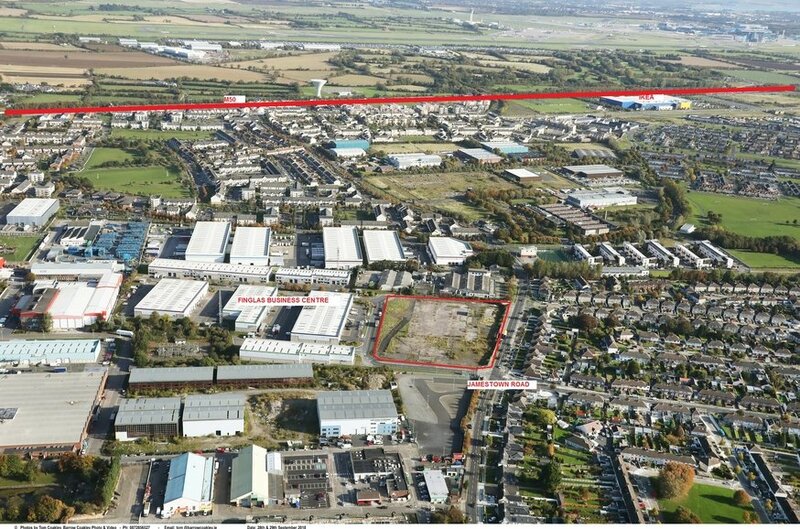 Zoned Z6 Enterprise & Employment under the Dublin City Development Plan. trading in 2011. All buildings have been cleared from the site. 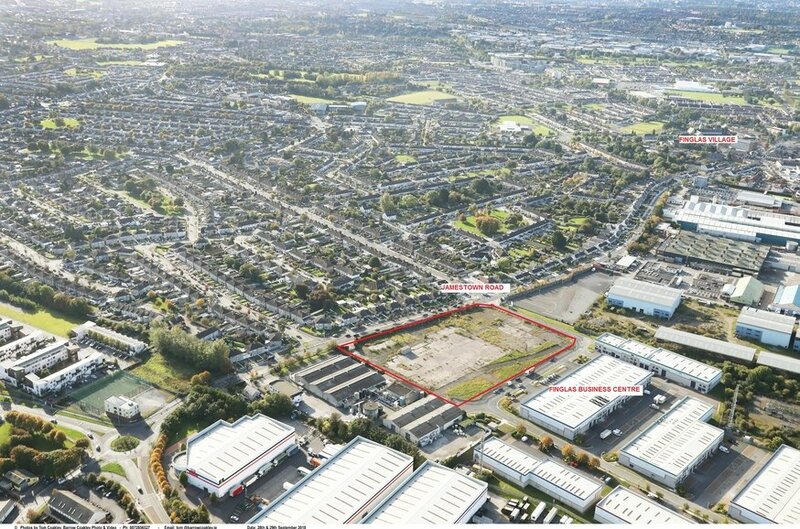 and facilitate opportunities for employment creation” under the Dublin City Development Plans 2016-2022.
service installation, residential, shop (local), training centre. industry, workshop, playing fields, park/playground. The property is held on freehold title. There is an ESB substation on site. The mains services supplied and connected to the side include water, electricity, drainage and sewerage. 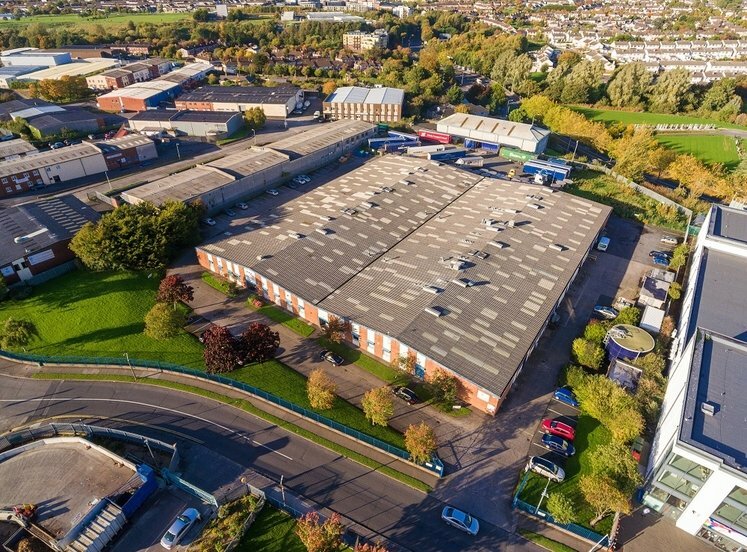 The site has development potential for a wide range of uses, subject to planning permission. 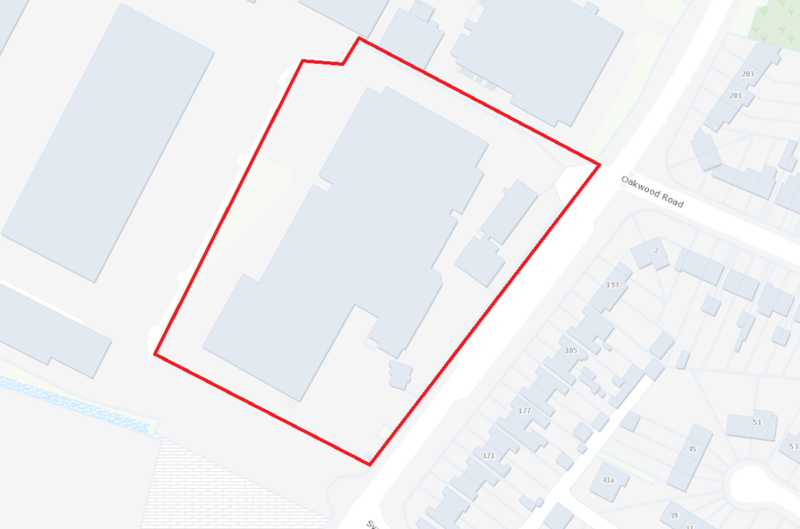 A feasibility study has been prepared by John Fleming Architects which demonstrates the possibility of a residential scheme providing 355 units as follows: The scheme is set out over two seperate blocks ranging to four and five storeys.